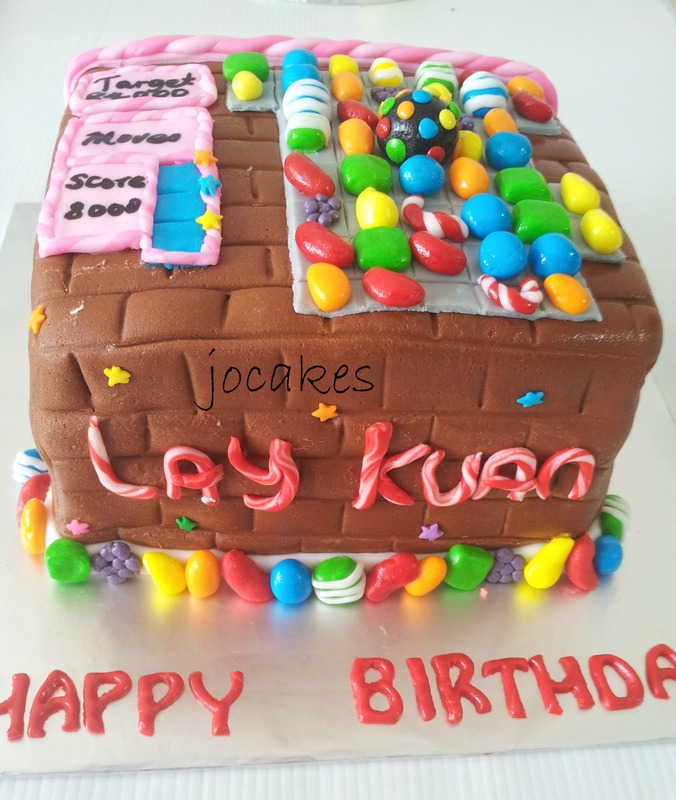 Candy Crush cake for Lay Kuan. 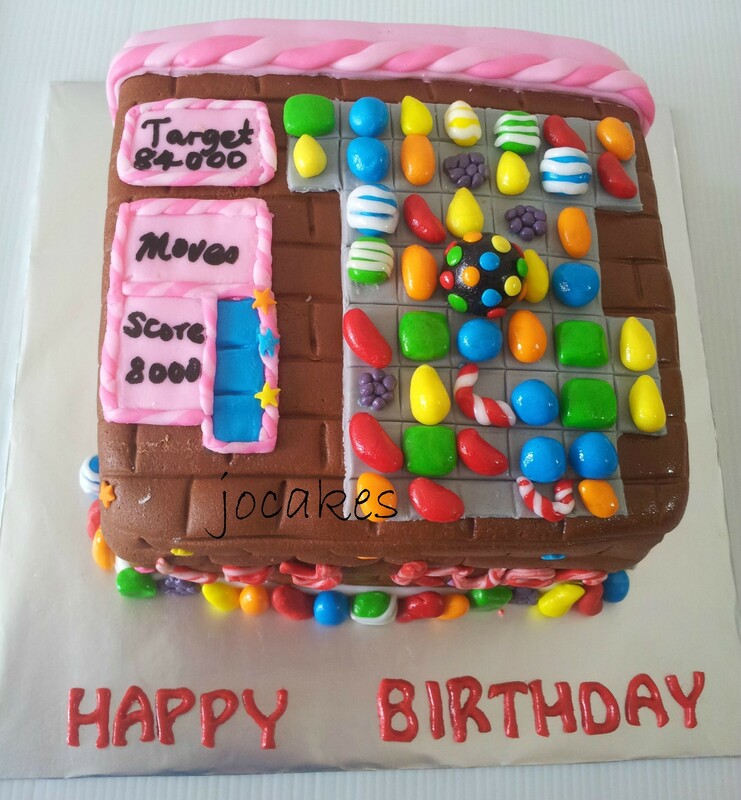 Posted by Josephine Stanley in Birthdays Cake For Adults, Candy Crush Cake. 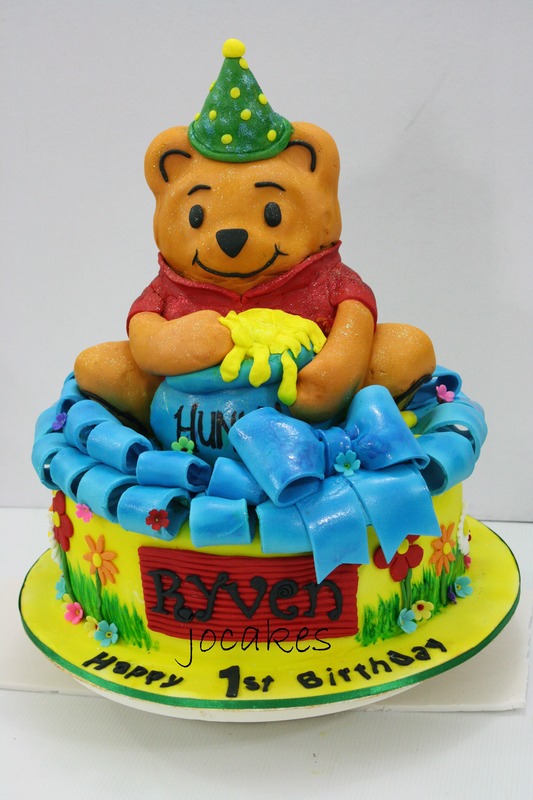 Commissioned by Kenji for Lay Kuan’s 37th birthday. 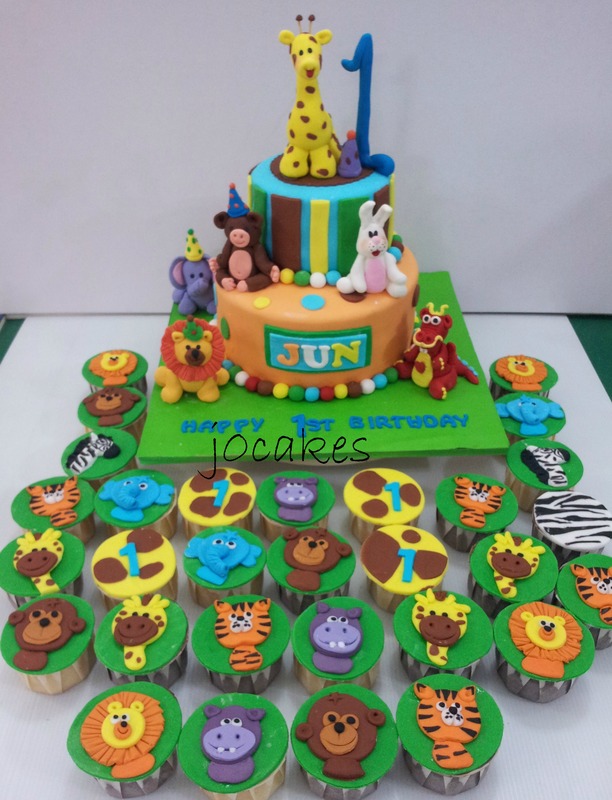 Jungle Animal theme for baby Jun. 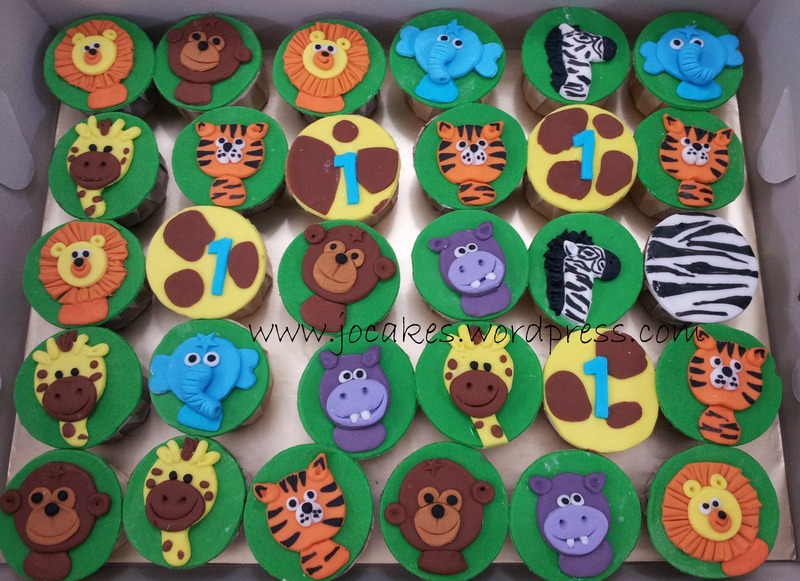 Posted by Josephine Stanley in 1 year old cakes / Cupcakes., Cupcakes & Desserts, Jungle animals cake. 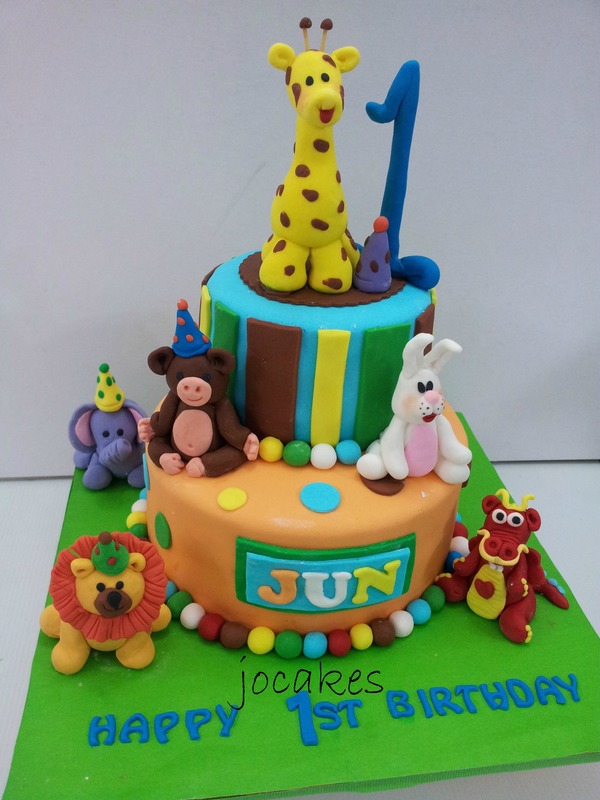 Kara ordered 2 tier jungle animal theme cake and 30 cupcakes for 1 year old Jun’s birthday party. 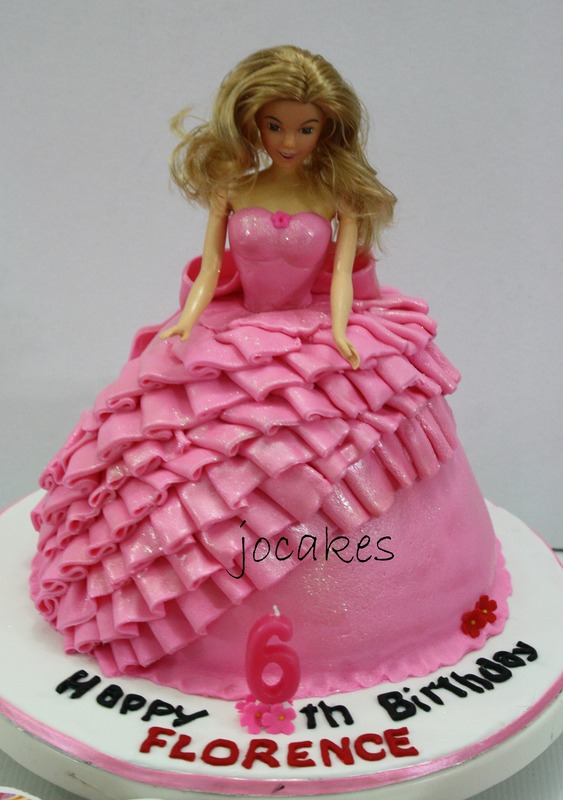 Barbie Doll cake for Florence. 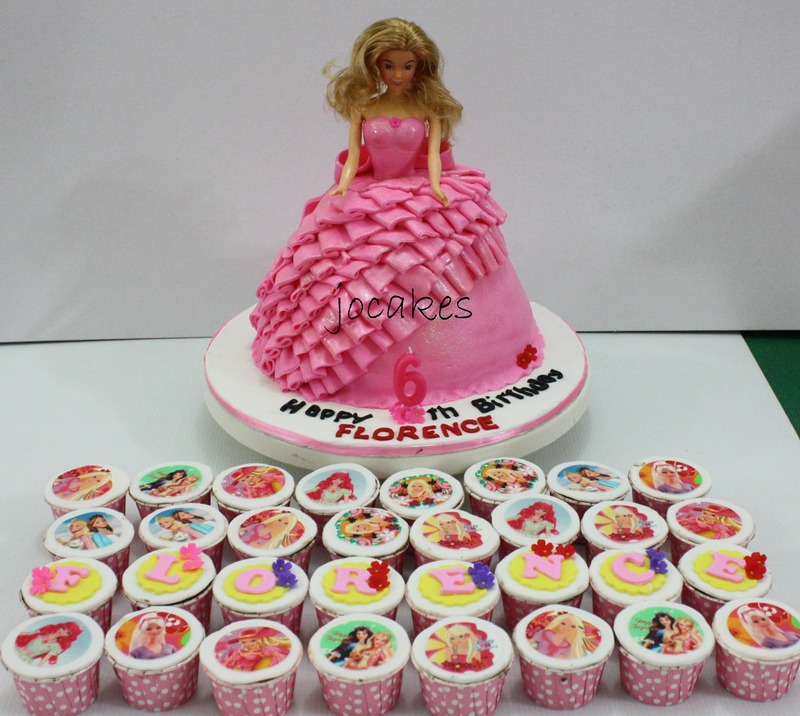 6 year old Florence just celebrated her birthday in her school with her classmates and teachers. 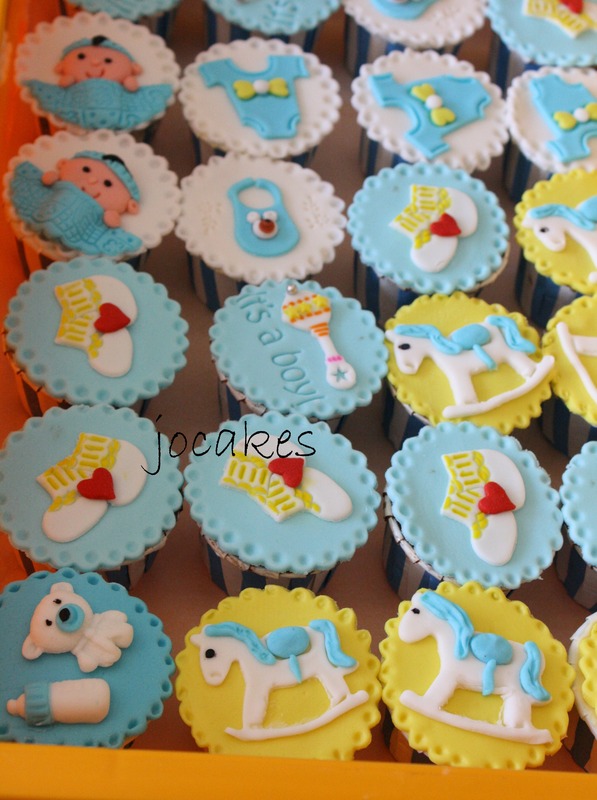 Commissioned by Mrs. Kong for her daughter’s birthday. 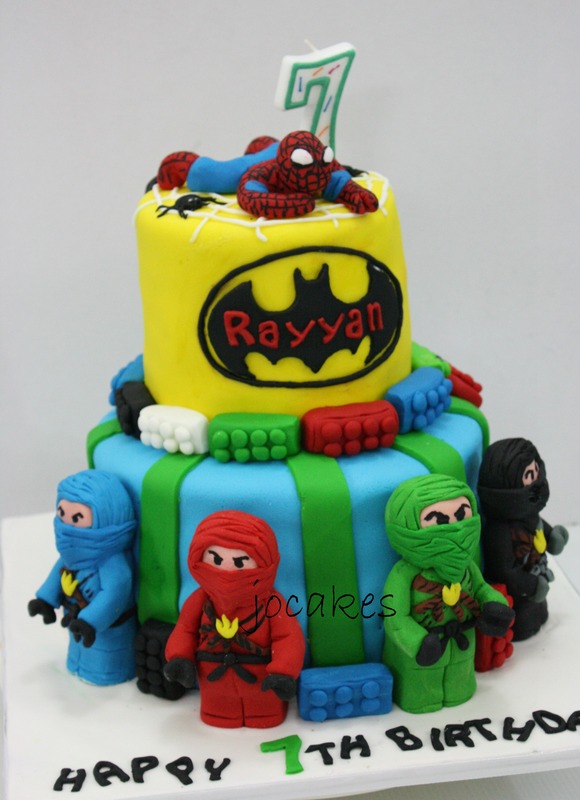 Lego Ninjago, Batman and Spiderman theme cake for Rayyan. 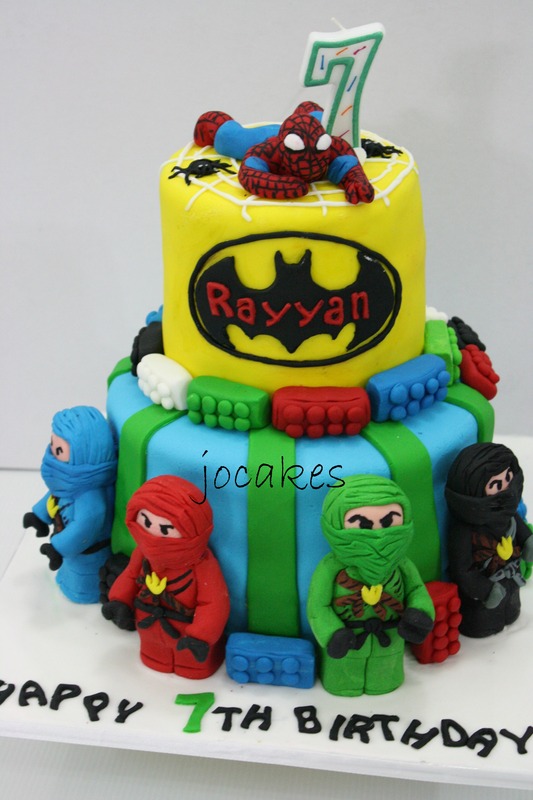 Posted by Josephine Stanley in Batman cake, Children celebration Cakes, Lego Ninjago cake, Spiderman cake. 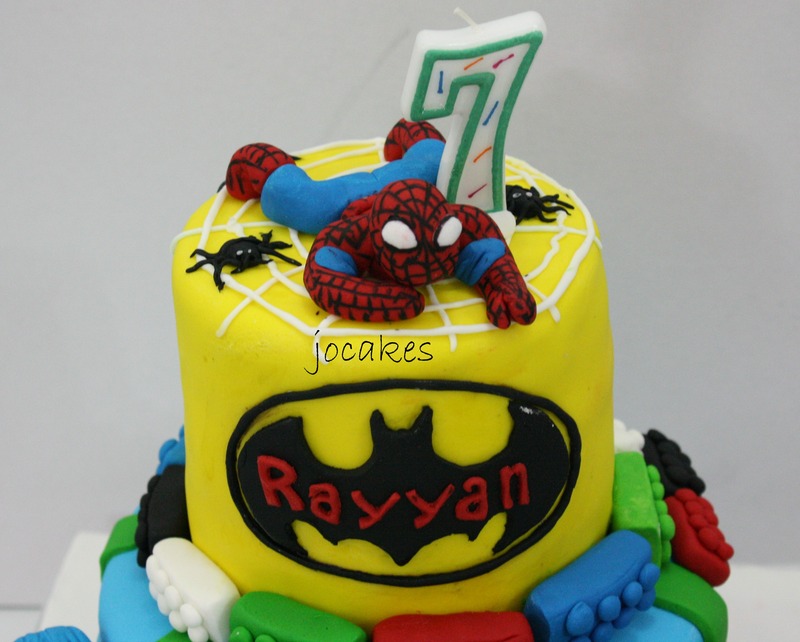 Ordered by Hani for her 7 year old son’s birthday. 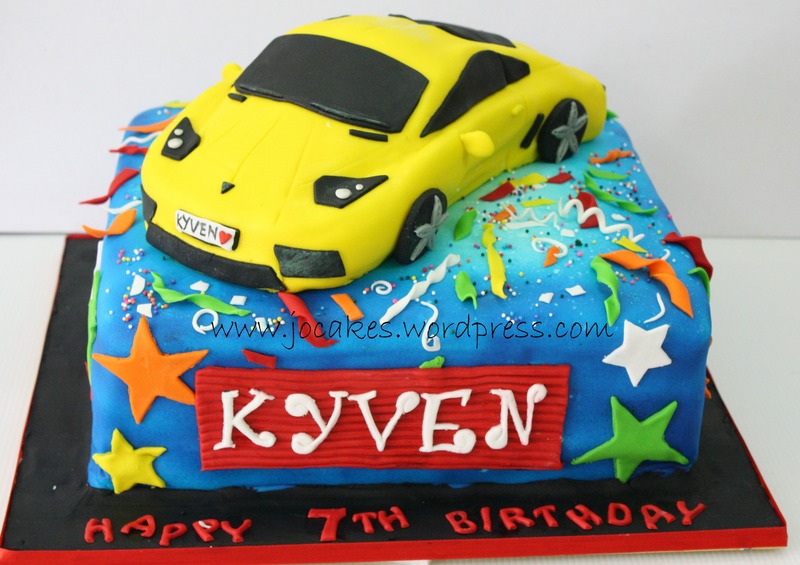 Winnie the Pooh cake and Lamborgini car cake. 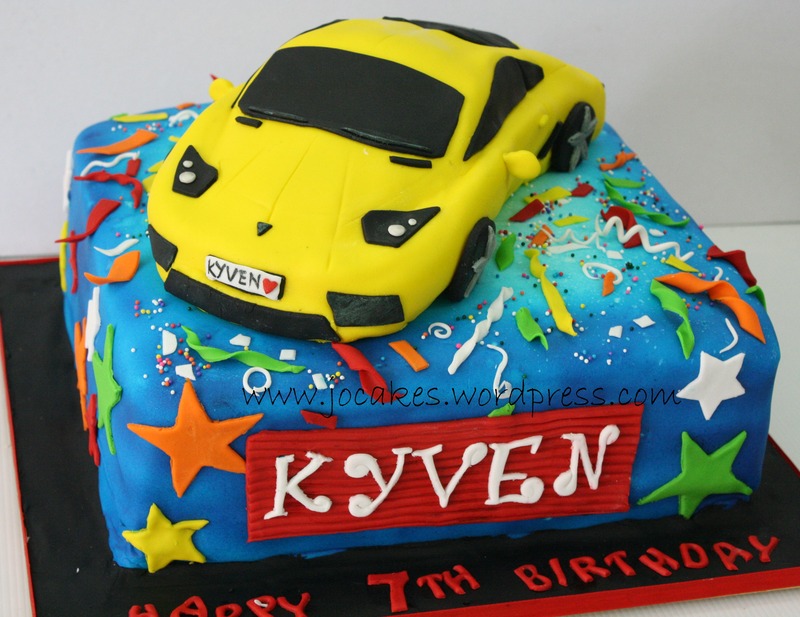 Winnie the Pooh cake and Lamborgini car cake for siblings Kyven ( 7 years old ) and Ryven (1 year old). 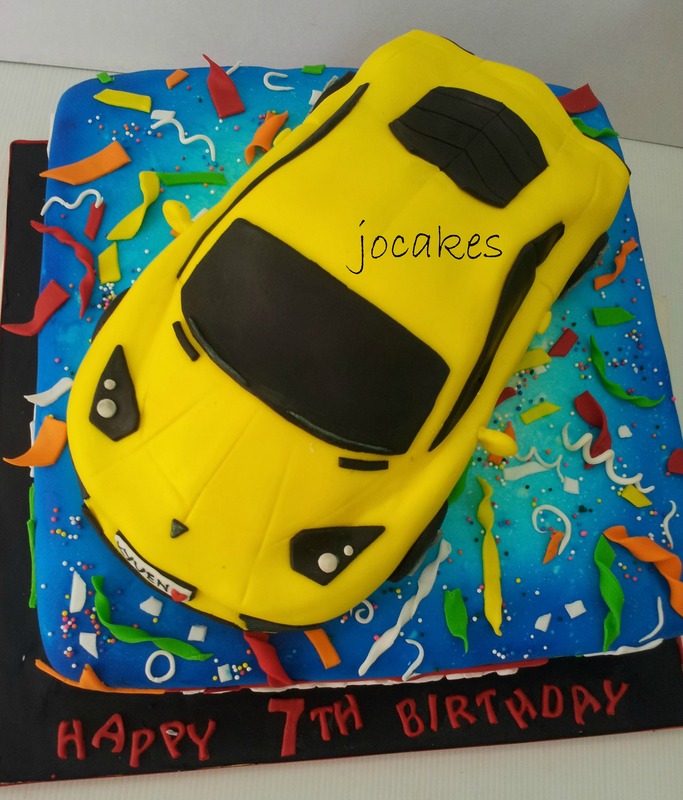 Winnie the Pooh cake sits on a 11″ round chocolate moist cake while 10′ Lamborgini car made from rice crisp and gum paste sits on a 12″ square cake. 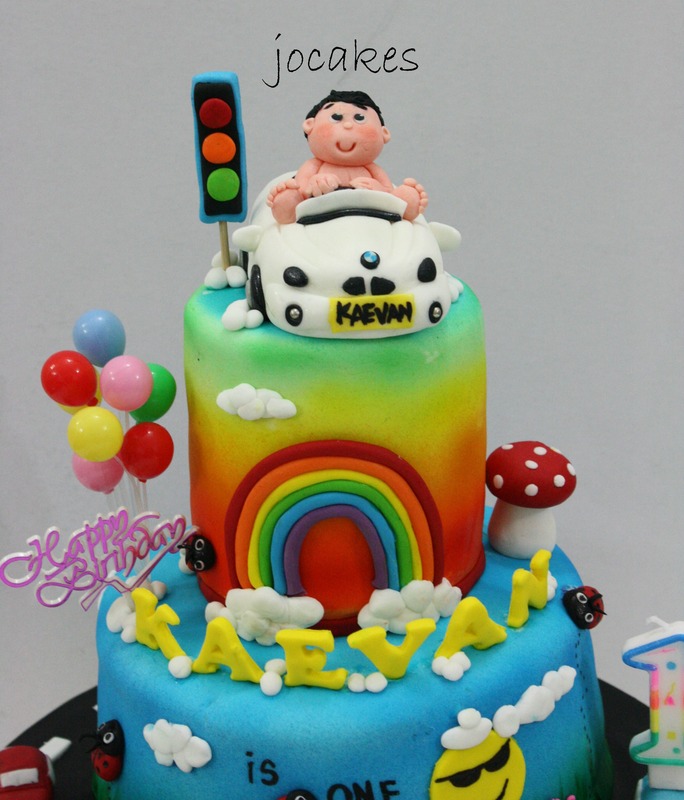 Both sibling have joint birthday celebration together on the same. 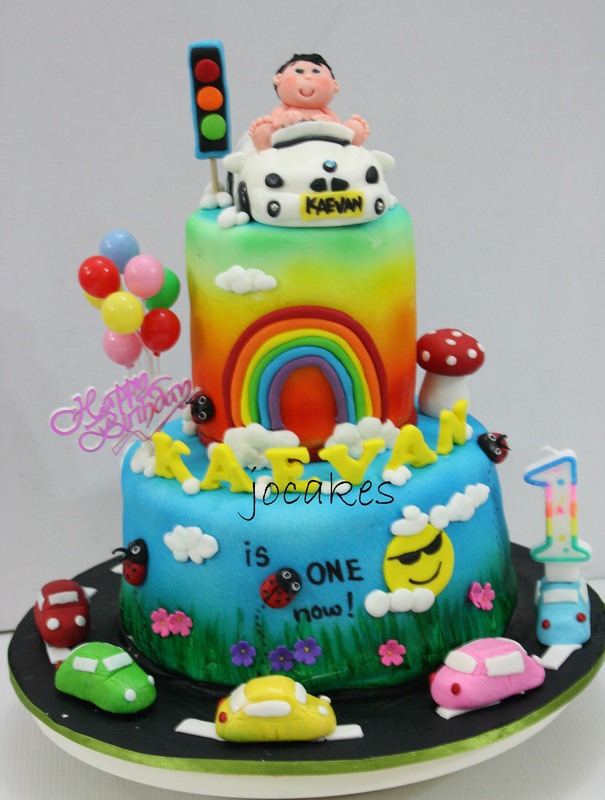 This 2 tier cake ordered by Chee Fen for her son’s 1st birthday. 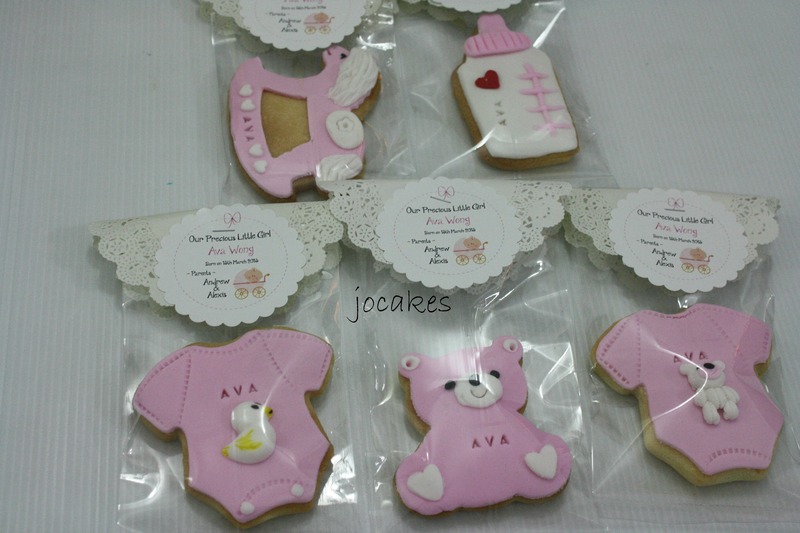 Commissioned by Alexis for Ava’s fullmoon. 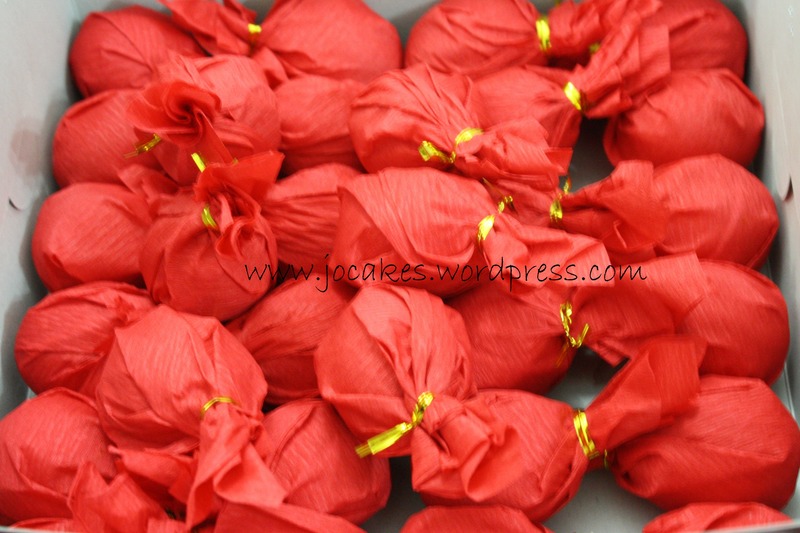 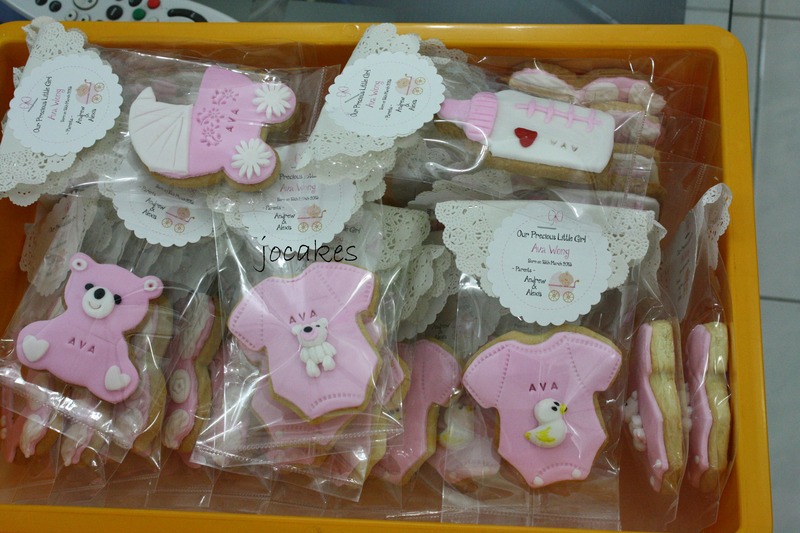 She ordered 46 boxes of fullmoon sets, 41 pcs of cookies and 30 red eggs for her baby’s fullmoon. 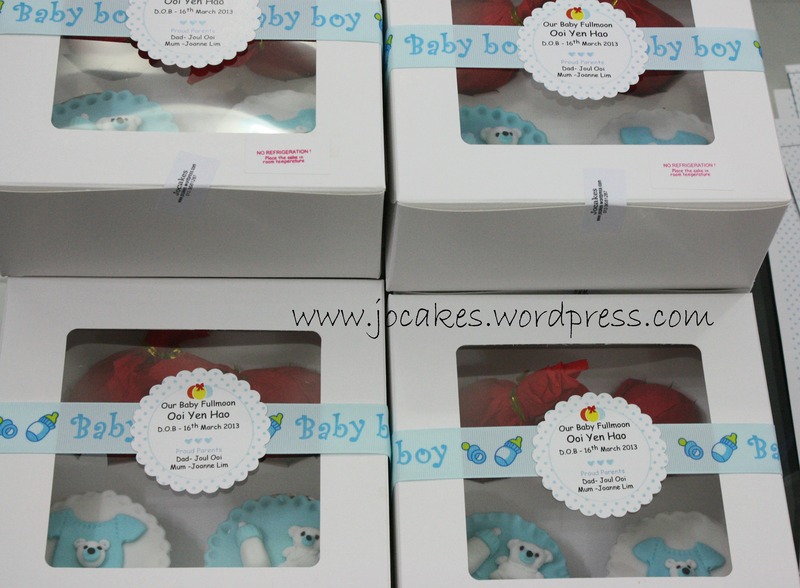 Baby Ooi Yen Hao’s fullmoon. 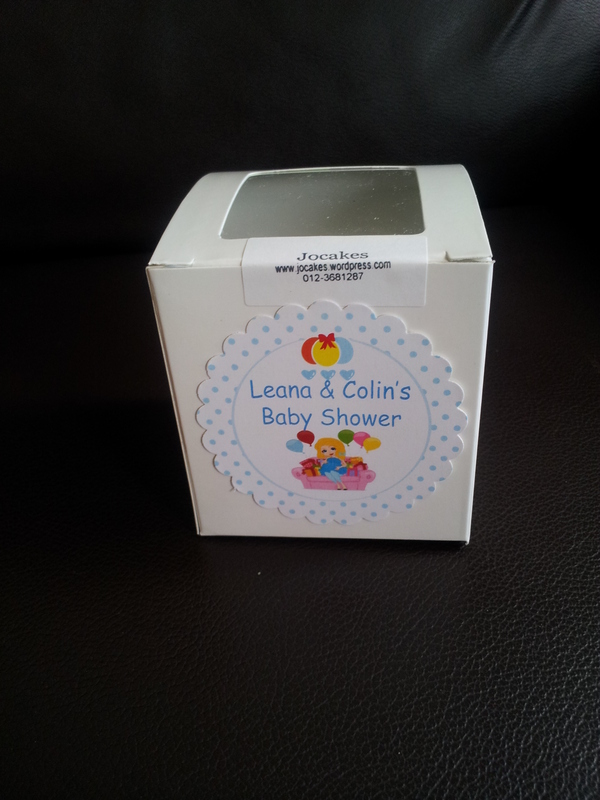 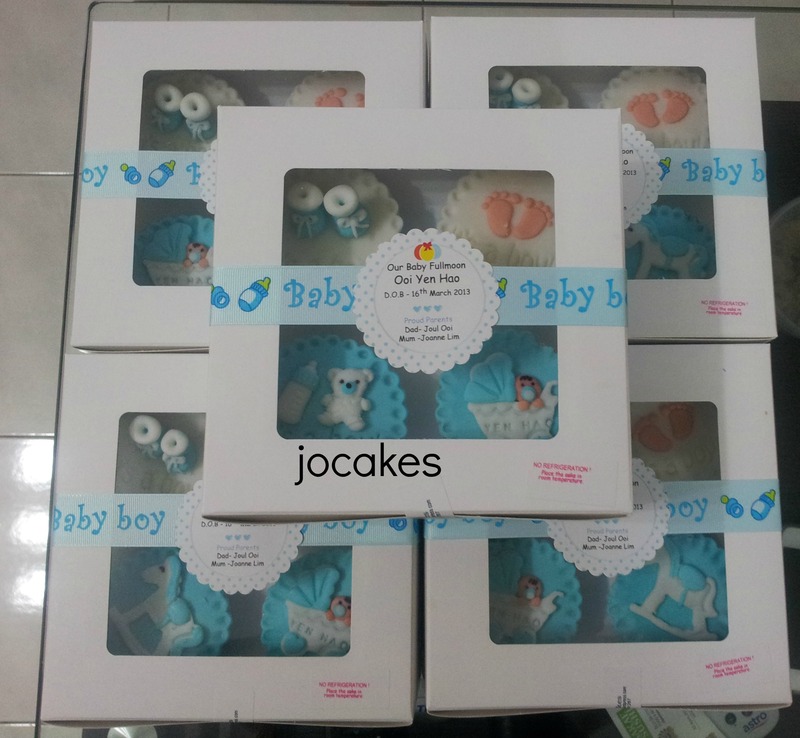 Commissioned to do Joanne’s baby fullmoon for 15 boxes in total. 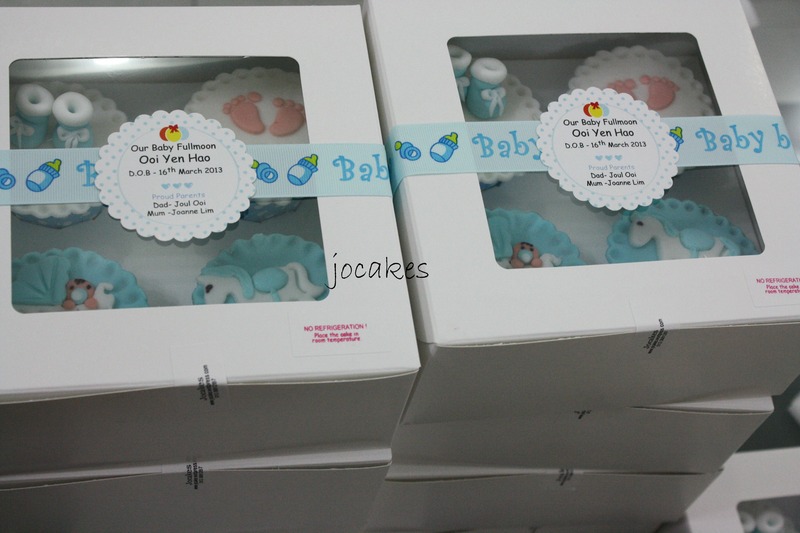 Baby shower cupcakes for Leana and Colin. 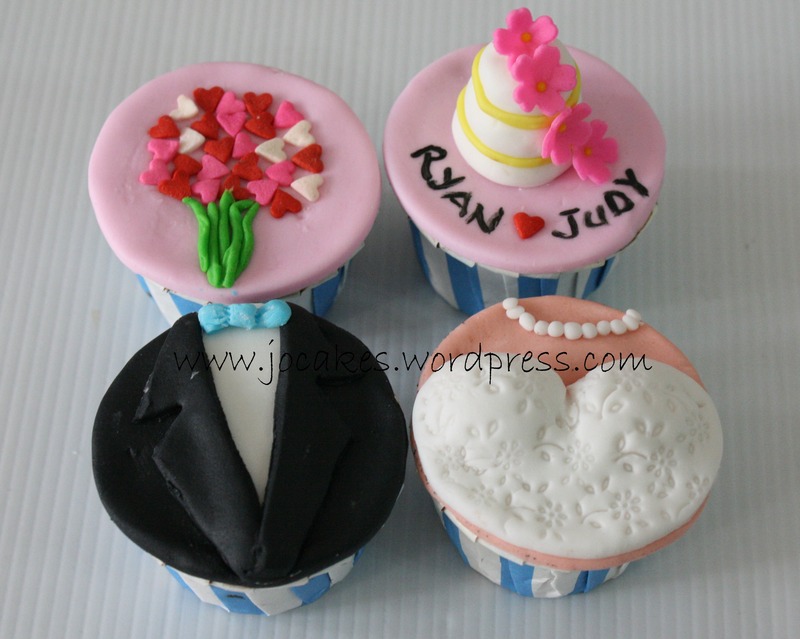 Wedding cupcakes for Ryan and Judy. 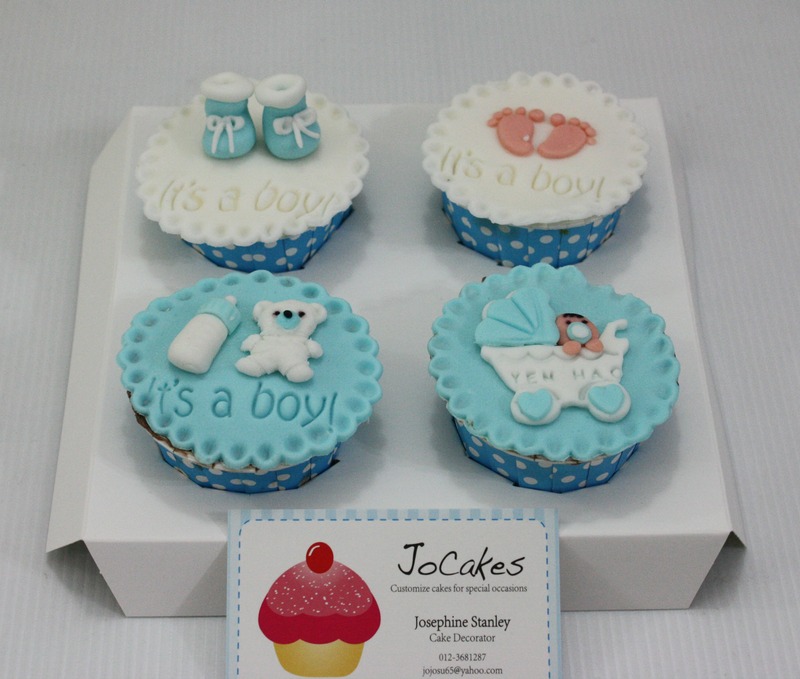 Posted by Josephine Stanley in Wedding Cakes / Anniversary Cakes. 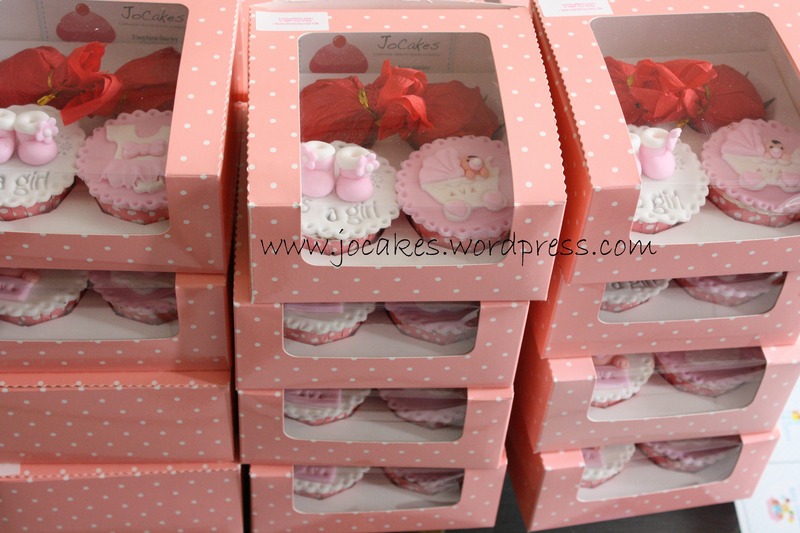 Our wedding gift for our Korean friends, Ryan and Judy before they fly off to Korean for their wedding ceremony.